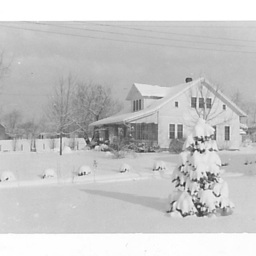 Photograph showing what was then called the Moyer House in Edinburg Virginia. It is located along Stoney Creek Road (now Boulevard) just west of town. The library now stands in the adjacent field.